Shop and learn from the area’s best remodeling, decorating and landscaping companies. Over 100 of the area’s best companies specializing in beautifying your home and yard will be in one convenient location. There will also be demonstrations and seminars from Virginia’s best horticulturalists. 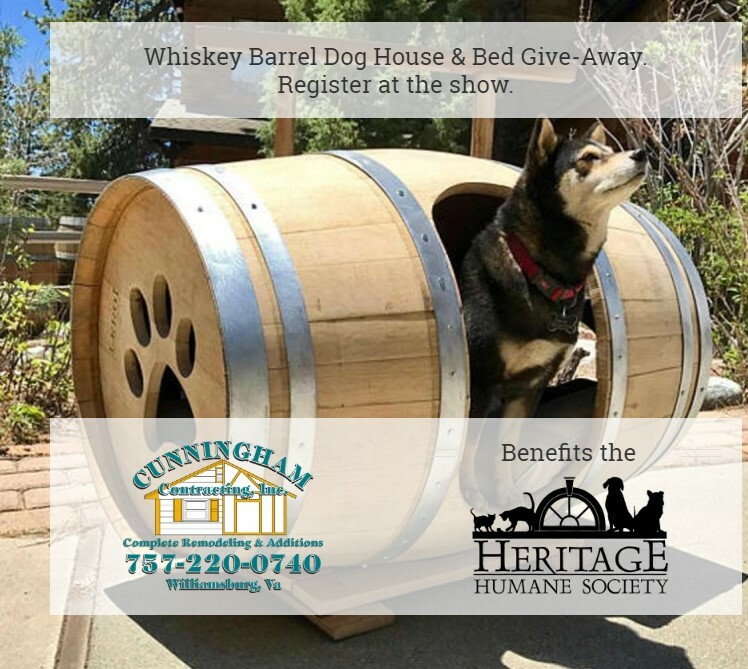 You can also register at the event to win a custom whiskey barrel dog house and whiskey barrel dog bed built by a local contractor, Cunningham Contracting, Inc. All donations for this give-away will benefit the homeless pets at Heritage Humane Society.